A Direct connector draws a straight connection line between objects. A Smart connector draws an orthogonal arrow connector. A Spline connector draws a curved arrow connector. A Round connector is similar to a Smart connector but has rounded bends. You can select the radius to display for this rounding. You can change connector types in one click. This works for one or all connectors selected. Sample 1. 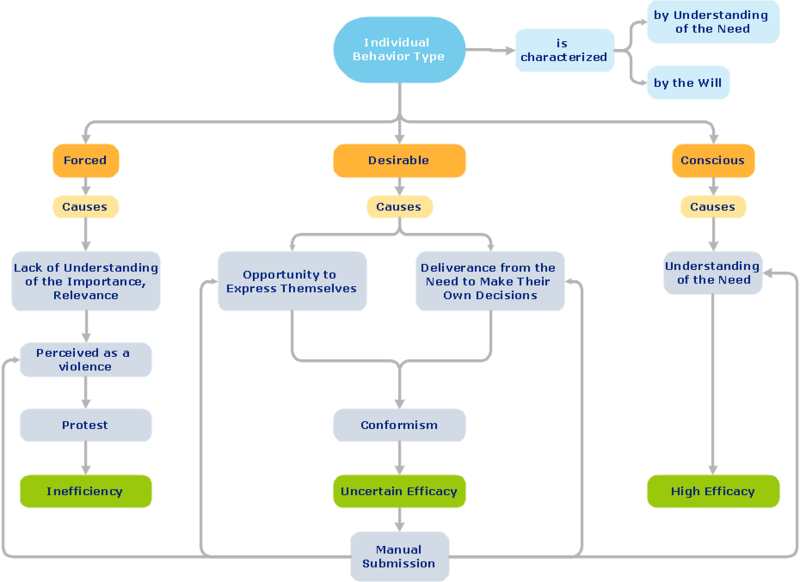 Block diagram - Types of individual behavior in organization. This will let you create professional diagrams and charts using its simple RapidDraw option just in clicks. Take a look on a diagram you are looking for and create it fast and quickly.